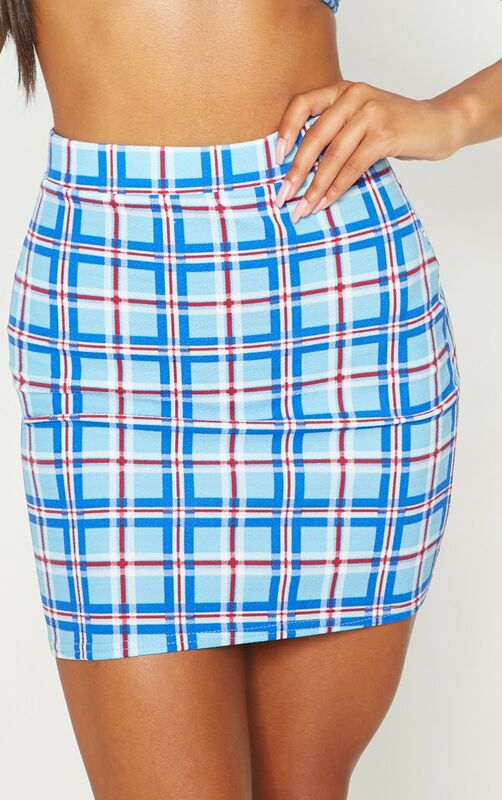 Girl this bang on trend co-ord skirt is perfect this season. Featuring a blue material with a checked design, an elasticated waistband and a figure-hugging fit. Style this skirt with the matching bralet and jacket, finish off the look with clear pointed heels and your biggest hoops.